Spring is in the air, my friends! 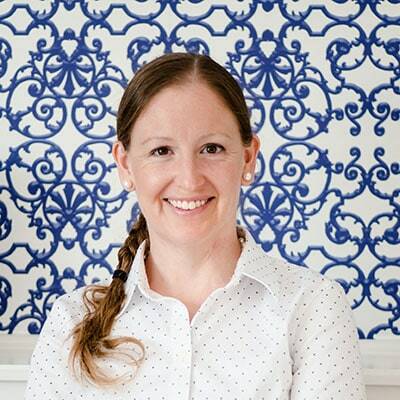 And while I’d certainly prefer to focus on fun things like Spring Break and outdoor activities, this is also a time when many of us also start to think about Spring Cleaning! 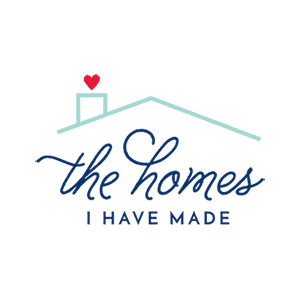 I’ll be the first to admit that I love to declutter, organize, and tidy but I HATE to clean. 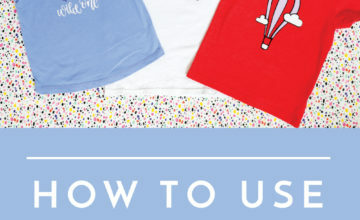 So I am always on the hunt for tips, tricks and routines to make it just a tiny bit easier. 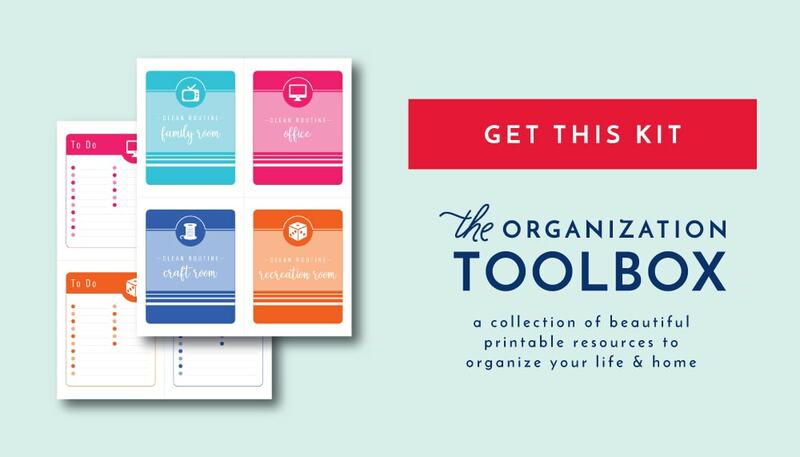 This month’s addition to The Organization Toolbox is one I’ve been wanting to create for quite some time, and I so am excited to have them ready for you as that Spring Cleaning bug starts to bite! 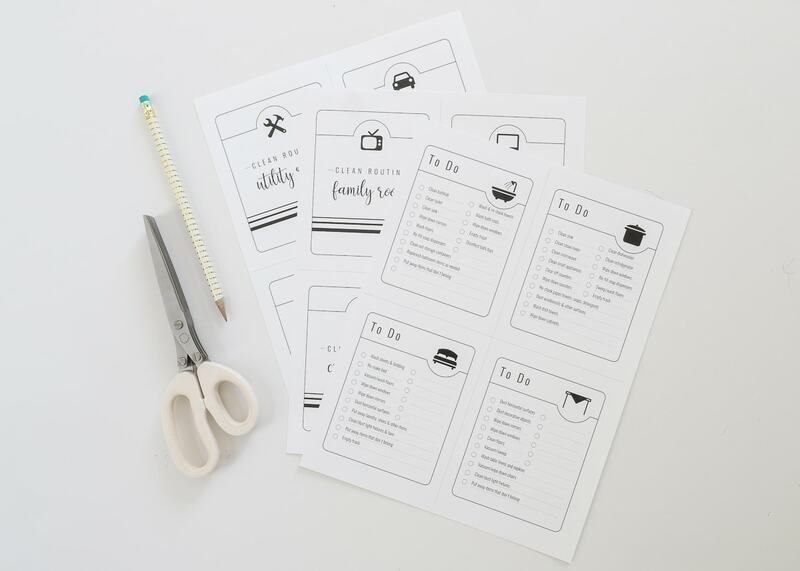 These Printable Cleaning Checklists are not only fun and easy-to-use, but they are a great way to stay motivated and be productive if cleaning isn’t exactly your favorite thing! 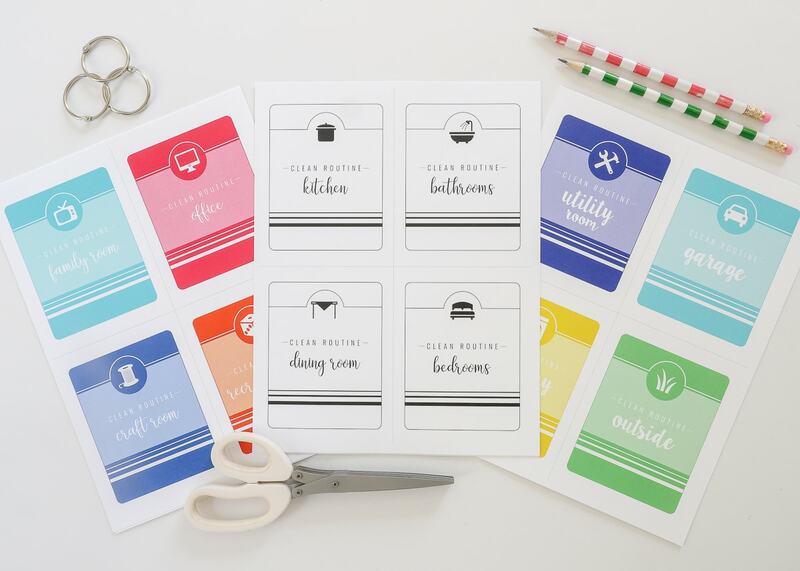 Let me give you a quick tour of the 18 simple pages in this newest printable kit and hopefully provide some cleaning motivation along the way! 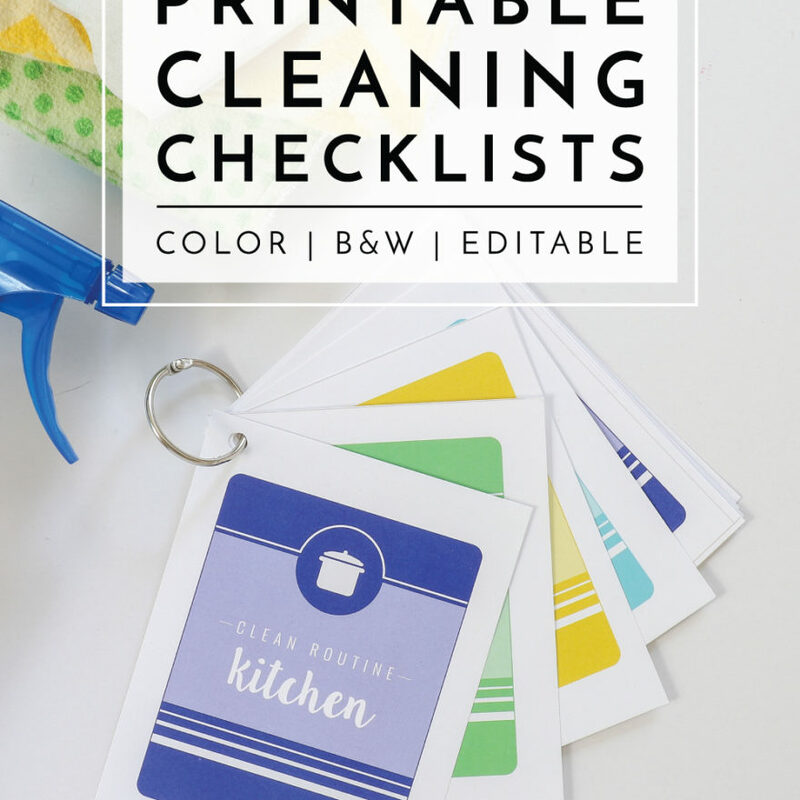 When I say I’ve been wanting to make these cleaning checklists for a while, I wasn’t kidding! 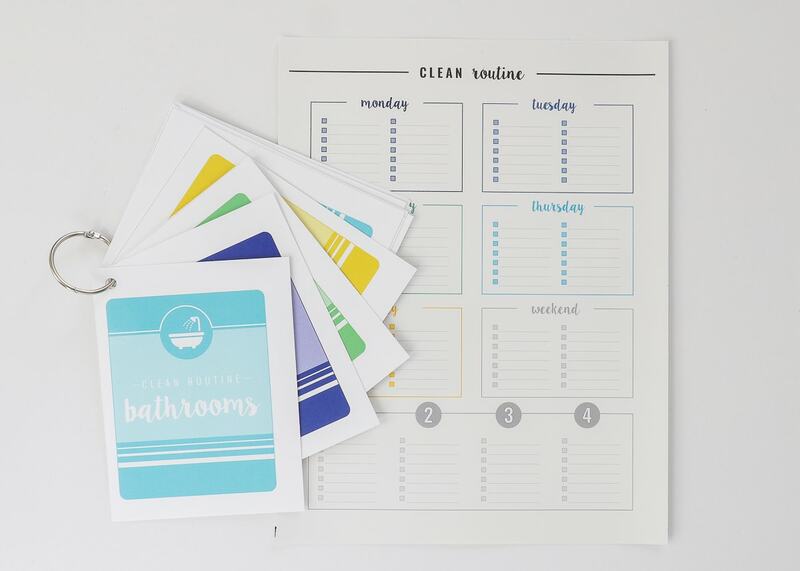 In fact, they were originally conceived as part of the “Clean Routine” bundle included with The Ultimate Kitchen Printable Pack I released 2 years ago. But you may recall that I had a baby right around that time, and the cleaning cards were never finished. 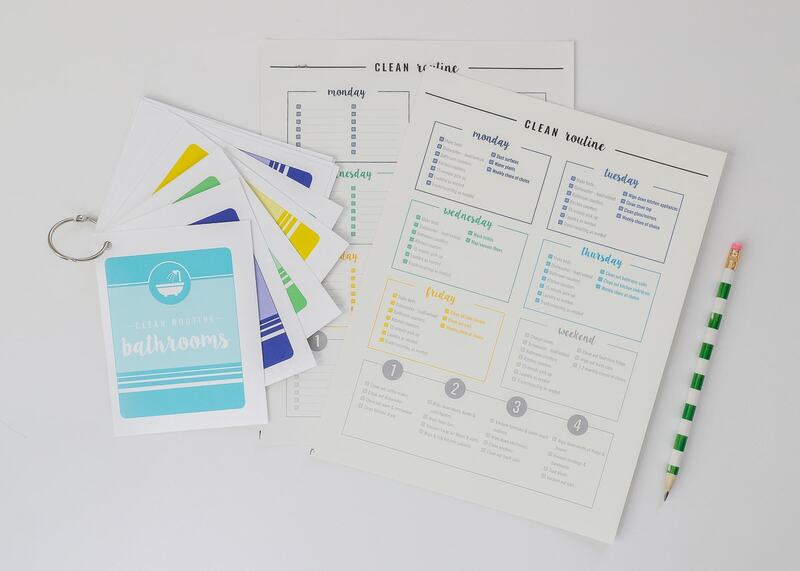 If you’ve loved using my simple and editable Clean Routine worksheets, the coordinating cleaning checklist cards are now ready to go! 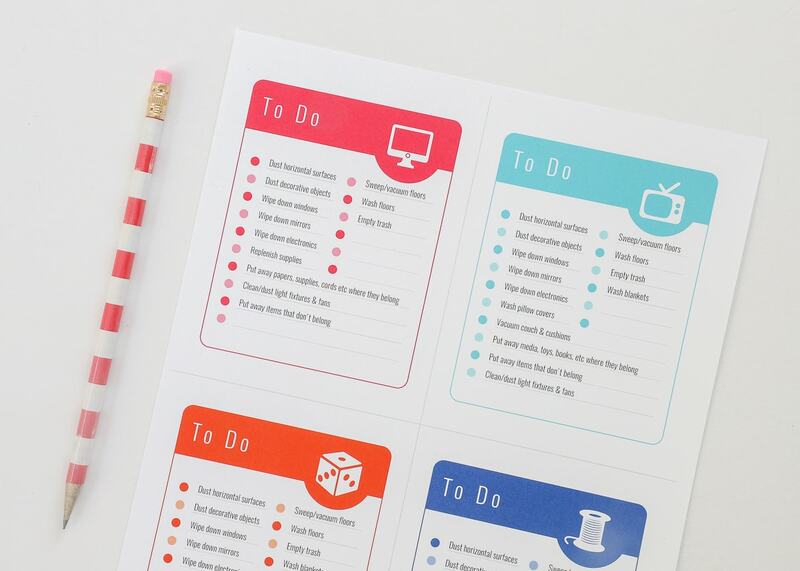 Once printed double-sided and trimmed down, you’re left with a set of handy little To Do lists that are sure to keep you on track as you move from room to room! There are checklists for 12 different rooms throughout the house, laid out 4/page, and are all shown in the graphic below. 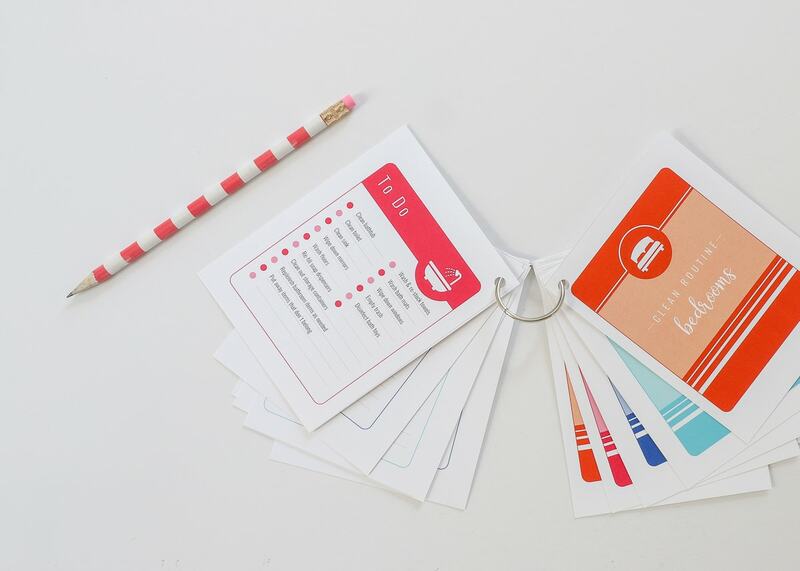 Additionally, each set of 6 pages is available in three different color schemes! 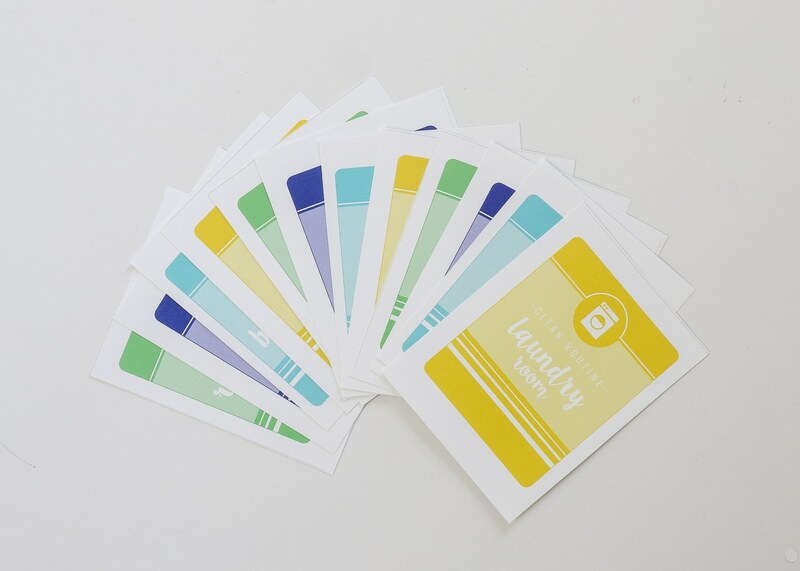 As mentioned above, the Cools color scheme was done to perfectly match the other printables and cleaning worksheets found in The Ultimate Kitchen Printable Pack. I also included a set in the Rainbow Brights color scheme with the newer fonts. 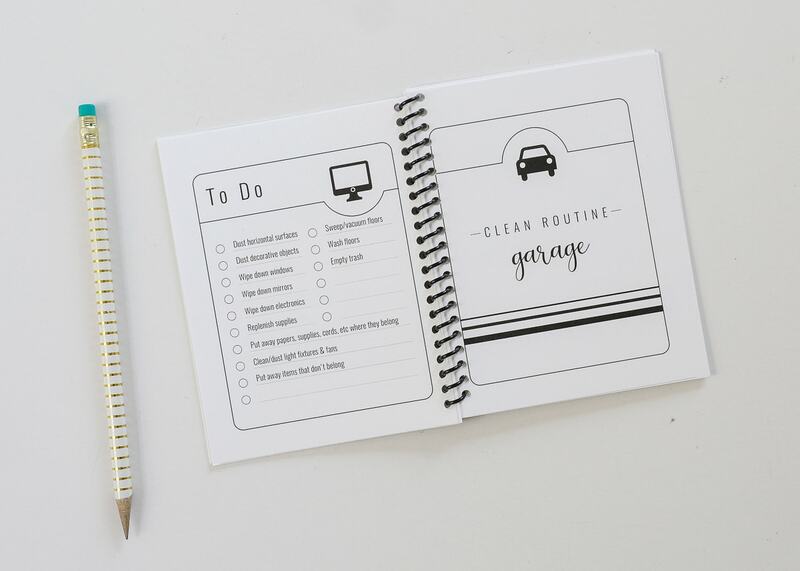 These will match the cleaning routines and worksheets featured in the Whole Home Binder (which I keep getting lots of requests for!) that will be released later this year! Finally, I know so many of you like to conserve printer ink and sort/organize via paper color, so a black-and-white version is included too! 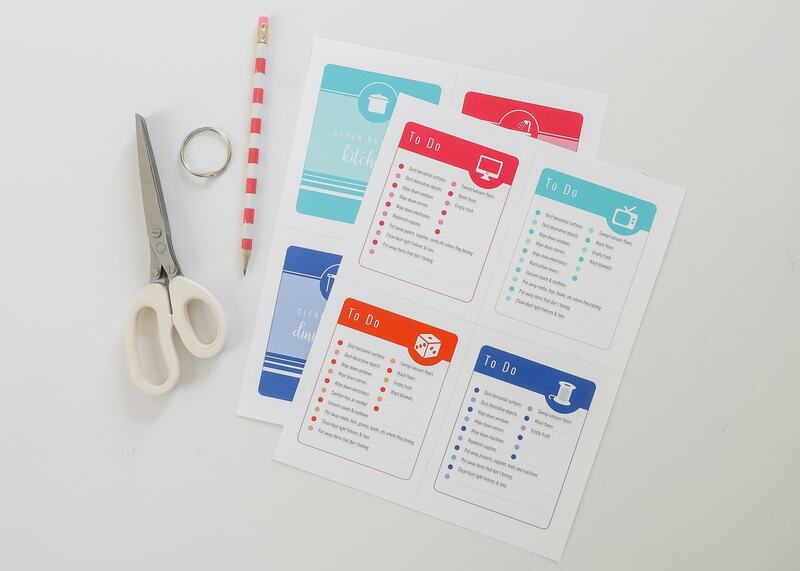 Although I often keep my printables blank so you can just print-and-go, these checklists are pre-filled for you! 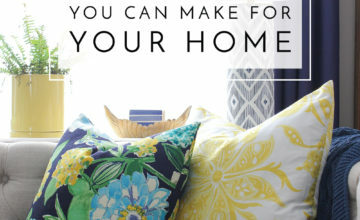 However, customizing them for your own home/needs couldn’t be easier, and you’ll love how family-friendly they are to use! Once you download the file from The Organization Toolbox, open it in Adobe Acrobat Reader. From there, you can delete out or add in any cleaning tasks you desire! If you prefer to hand-write in tasks, simply delete out all the included text. 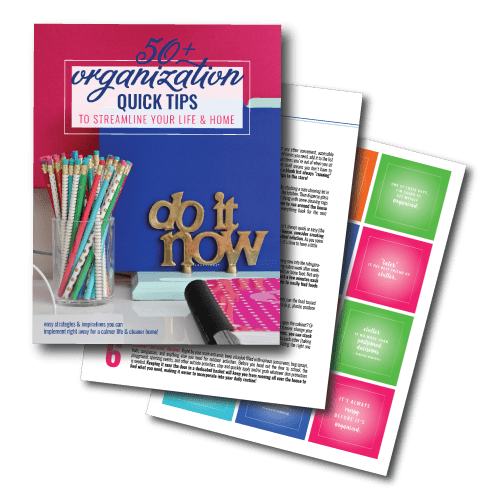 Once you’re satisfied with what’s on your checklists, print the pages (in the color of your choice), double-sided at 100% resolution. 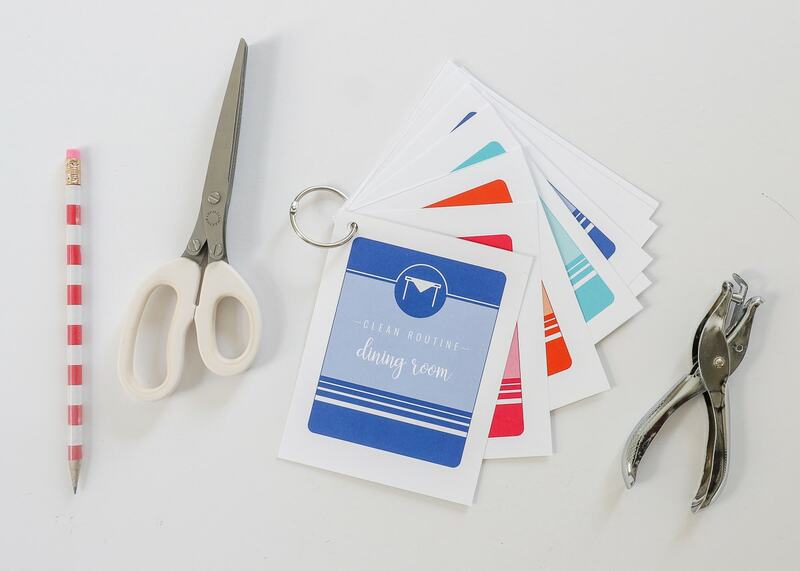 Next, use a paper trimmer or scissors to trim down the cards along the included grey lines. 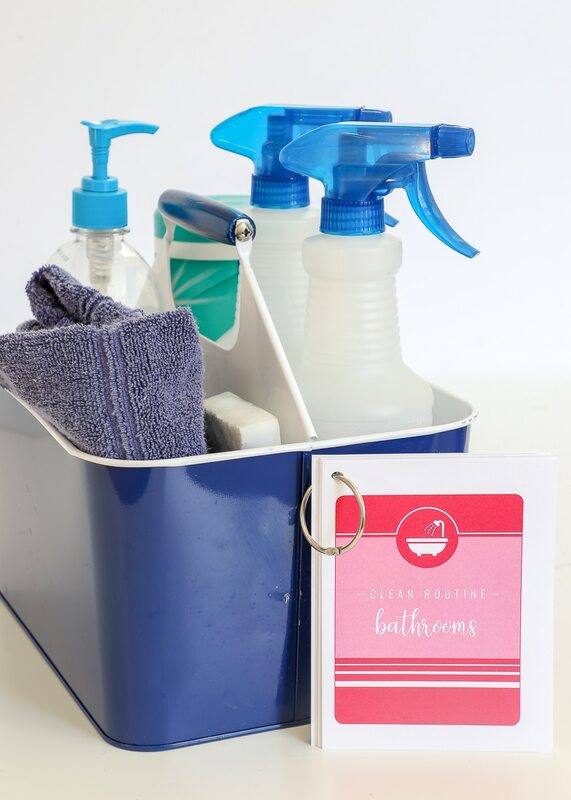 To keep them all together, punch a hole in the corner of each one and bind them with a binding ring that can be easily hooked onto your cleaning caddy or placed on a hook in the utility room or your cleaning cabinet. 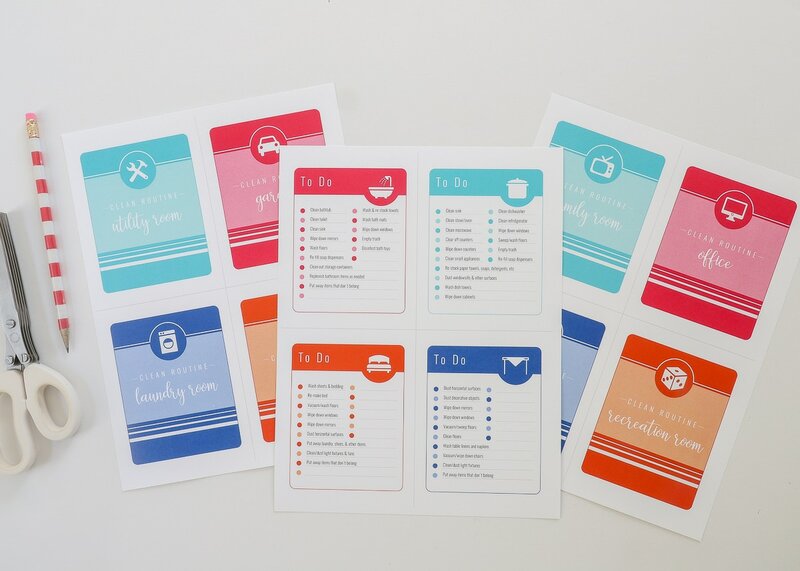 If you’d like to use the checklists week after week or month after month, consider laminating them to protect them against water and cleaners. Then simply use a dry-erase marker to check off tasks as you go! 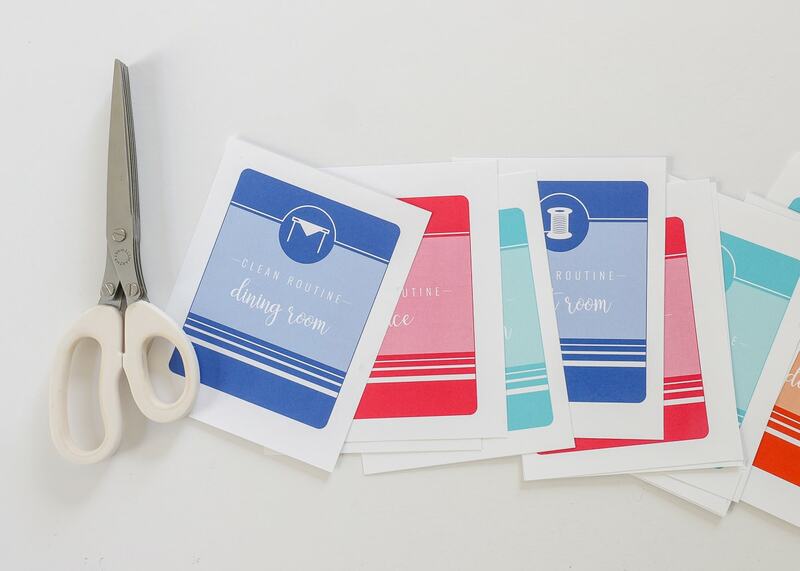 Admittedly, I designed these cards to be held together on a ring for ease and convenience, but there are other ways you can put them to use in your own home! If you have kids who are at a helpful age, consider stacking them up and then divvying them out to each person for Saturday morning chores! 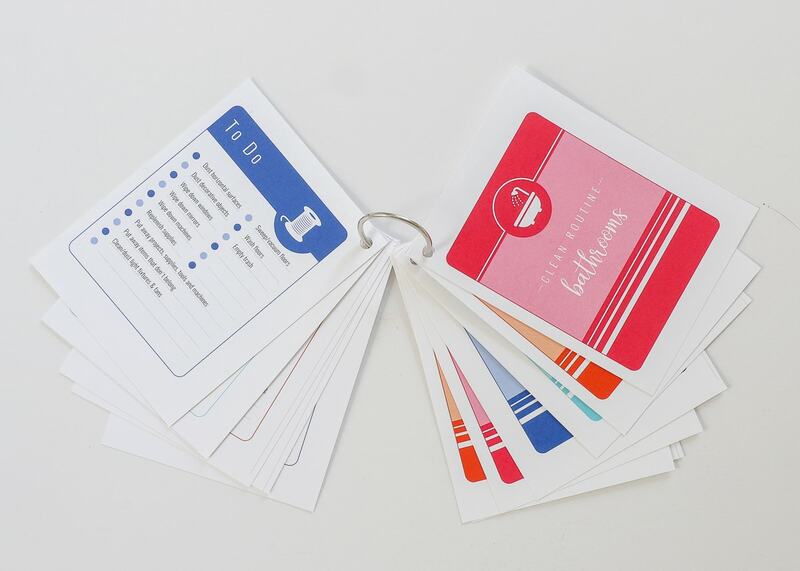 Binding the cards into little personalized books is another great way to help kids (or other family members!) 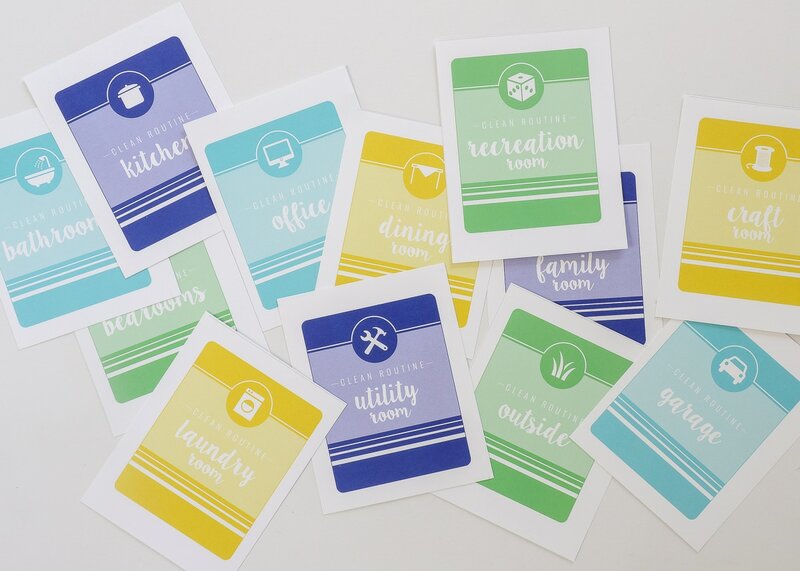 keep track of which chores they are responsible for! 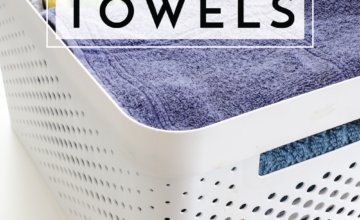 These sheets don’t have to be for just weekly or monthly cleaning either. 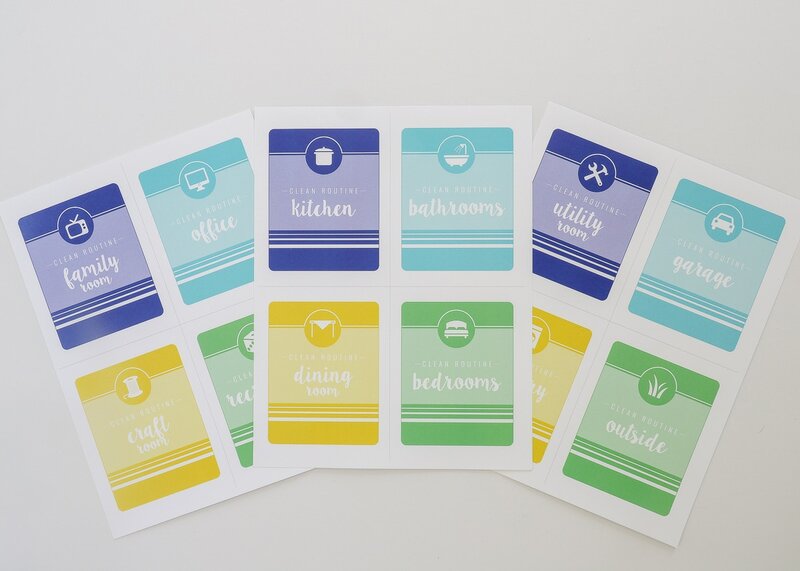 Consider making sets of various seasonal tasks, then print them on different colored papers to keep each set straight! 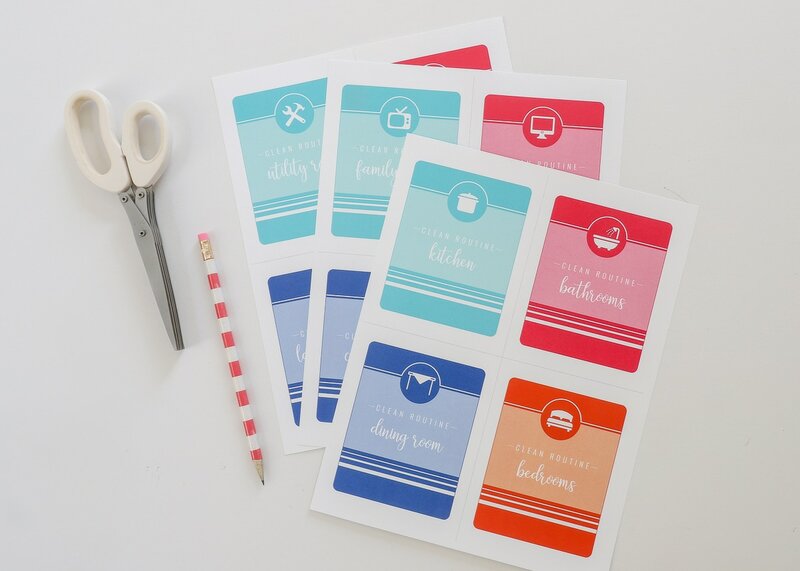 And don’t forget, these cards can be used in conjunction with the cleaning stickers and charts already uploaded to The Toolbox! 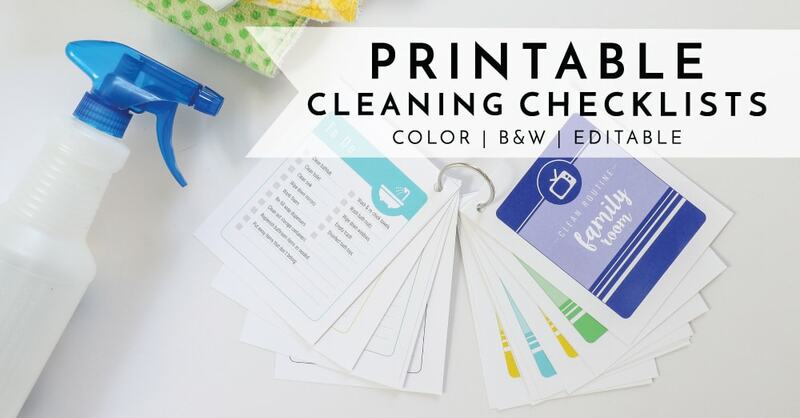 The Cools, Brights and Black-and-White versions of the Printable Cleaning Checklists have been uploaded to The Organization Toolbox and are available for download right now! If you are already a Toolbox member, you can click here to login and download them right away. 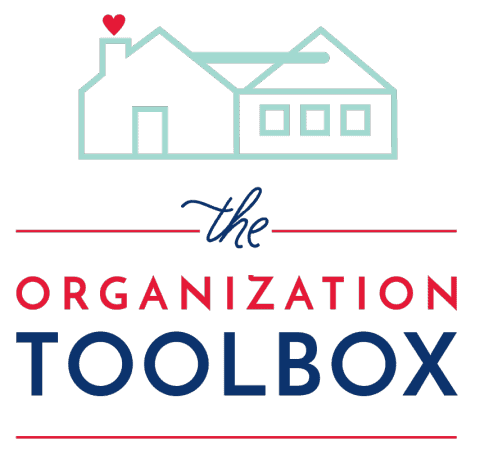 If you need a Toolbox membership, just click below to get started! 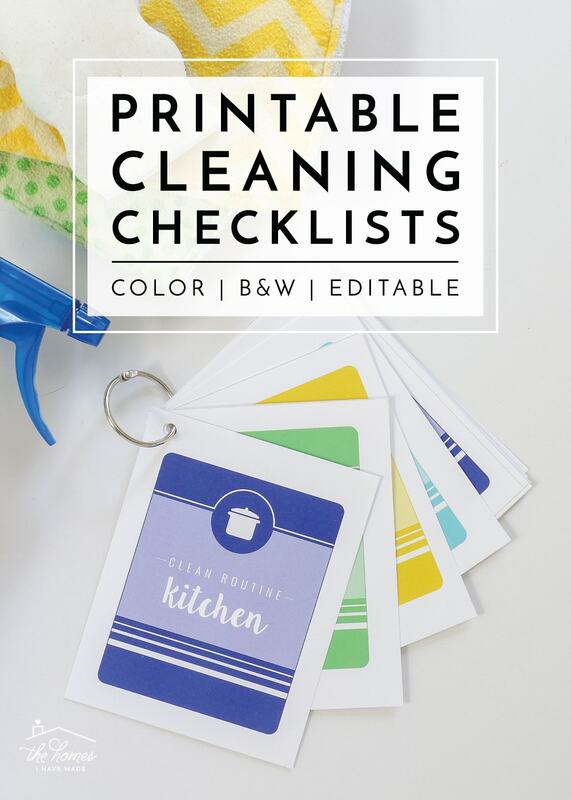 These Printable Cleaning Checklists are a fun way to jumpstart your Spring Cleaning or get into the groove of a new cleaning routine. 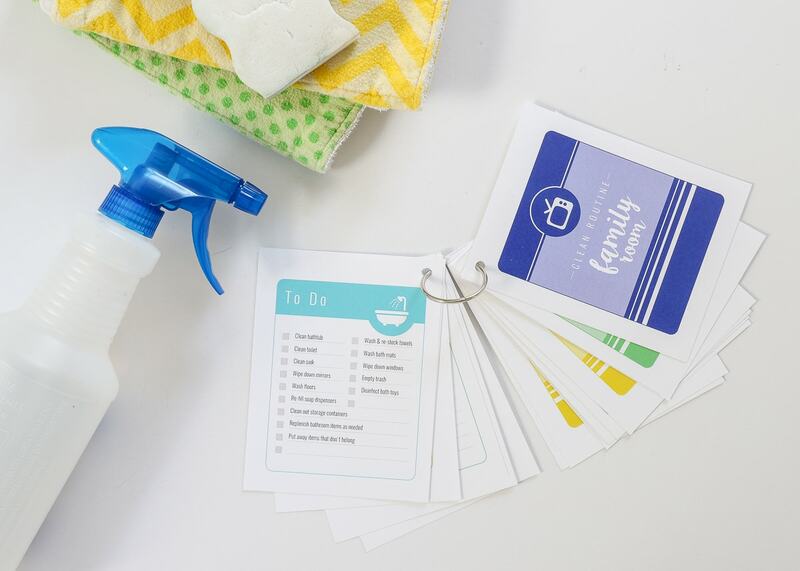 Whether you love the process of cleaning or loathe every minute of it, these bright, simple and fun checklists are sure to make the job just a little bit easier! Happy cleaning, my friends! Not sure a Toolbox pass is right for you? 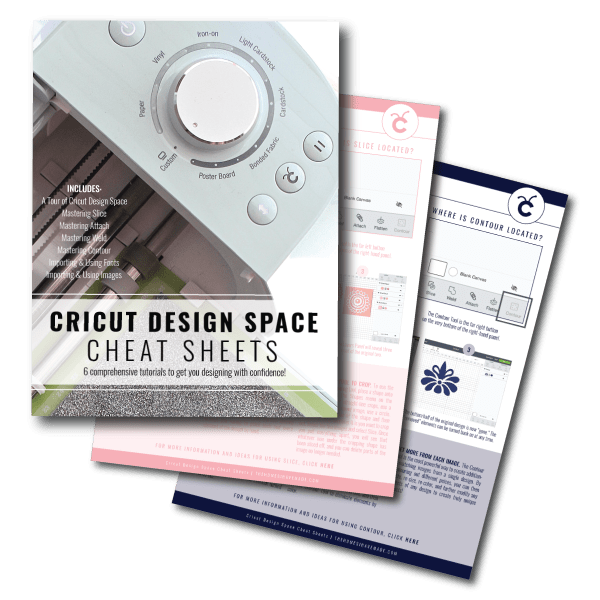 Learn more here or subscribe below to get a bunch of sample Toolbox pages sent straight to your Inbox!